The weekend preceding the start of the official IHSA season is the annual Illinois Track and Cross Country Coaches Association (ITCCCA) clinic. It is always a great time building, partaking, and sharing ideas during the two-day pilgrimage that brings together over 1000 patrons. While talking to many coaches about the upcoming season I began to think about my own team. Just like all coaches who dream and have real perspectives of their season goals so do I. For those who may not know I coach at Lane Tech College Prep High School in Chicago. I have been a coach for 20 years- all in the CPS. In my early years, I will be the first to admit that I was coaching strictly from the hip. I thought being a former standout runner was all you needed to produce good athletes and a quality program. Nope. After many trials and errors, I was finally able to garner some success. I enjoyed listening to many of the speakers at the clinic but I must admit if I were in front of my peers I would have added something I don't think I've heard. I will tell it now. As a middle-distance/distance coach I believe the time between the end of cross country and the start of the official track season is the most important period of the yearly training cycle. Depending on when your team ended its harrier campaign it may be up to two months before you can officially train with the kids or direct them in the fashion you desire. Of course, many coaches have "conditioning" days where they have open weight rooms, gyms, track, etc. If you happen to work in the building you may just pop your head in these areas to see if the kids are putting their work down. But if you work outside of the building as I do it can be difficult. I typically use the time away to catch up with my family and recharge for the upcoming season. But in reality, you hope your athletes follow the code of honor and get their work in. For many years the honor system did not work for me and I needed something in place as a deterrent to the lost cross country training and winter conditioning laziness. One day back in 2001 I made a call to the legendary University of Arkansas coach John McDonnell. I noticed at the time he had won 30+ national championships in three sports (xc, indoor, outdoor). I asked Coach McDonnell how he maintained his program at such a high-level year round. He told me that winter training was the most important season because it was a time where breaks, finals, and downtime interfere with direct coaching. "There is a time where I cannot be there and that is usually around the winter holidays," he said. The Razorbacks are on their own during breaks with individualized workout sheets. The athletes are treated like adults and the honor system is in play. So, when the first official day back from break he imposed a lengthy workout to find out who is in training shape: scholarship and non-scholarship athletes together. The idea is not to punish any kids but rather hold them accountable. My eyes lit up when Coach McDonnell mailed me his winter shape training program. On the last page was the "shape up" workout and it read: "2k, 1m,1500,1200,1100,1000, 900,800,700,600,500,400,300,200." Yikes! The next year in 2002 I surprised the guys and girls with a moderate form of this. They all ran horribly. The proceeding years, I issued a proclamation after the xc season: "make sure you get your work and runs by the first official day of the season." The best way to describe the madness is we typically start at 6:00 mile pace and drop down; along the way the rest period mysteriously evaporates to the delight of the coaches. Nothing revolutionary. It is just as Coach McDonnell stated: accountability. In retrospect, it has to be the best thing we could have instituted. Accountability works. We ran 8:03.5 for the 4x8 in 2004- the first time running under 8:10 during my stint. 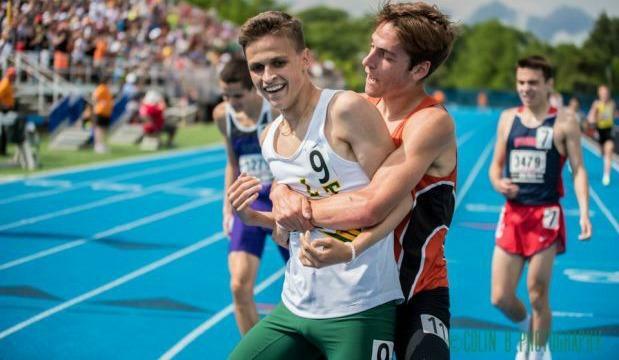 Over the next 10 years we have broken 8:00 numerous times, 3 state titles (1 relay, 2 individuals), 2x Illinois #1 in 4x8, 2x state relay medalists, 1x All-American medalists (NBON). We named Coach McDonnell's check system workout in his honor "The Arkansas." We only run it one time a year and it's during the first official week of the track season in January. 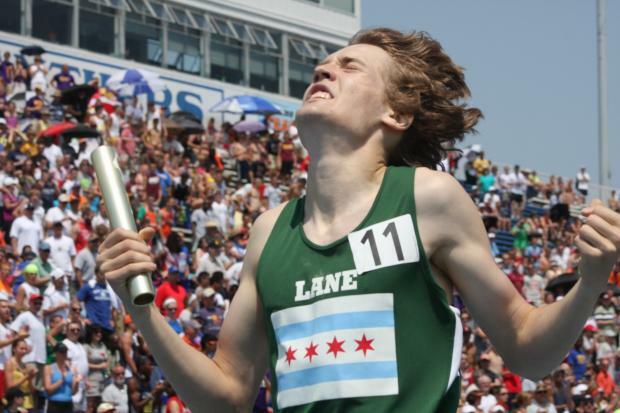 Every distance kid that runs track for Lane Tech knows it coming and yet some refuse to put in the work. And those who don't, pay for it. Some kids cramp up. Some puke in a can. Some punk out and throw up the surrender flag halfway through. But somehow for the vast majority of the kids in the program, when they finish, it's like a victory. They understand the definition of hard work does not come cheap. At the end of the day, I realize they indeed completed their runs, hit the weight room, maintained a healthy regimen, and got themselves mentally sharp for the five or six-month grind known as track and field.